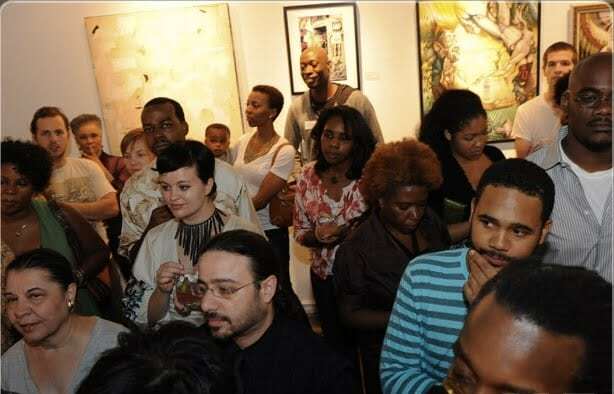 Partial view of the crowd at International Visions Gallery. 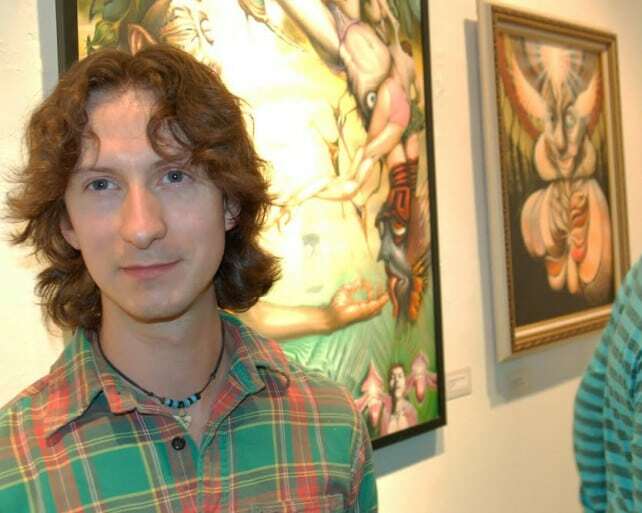 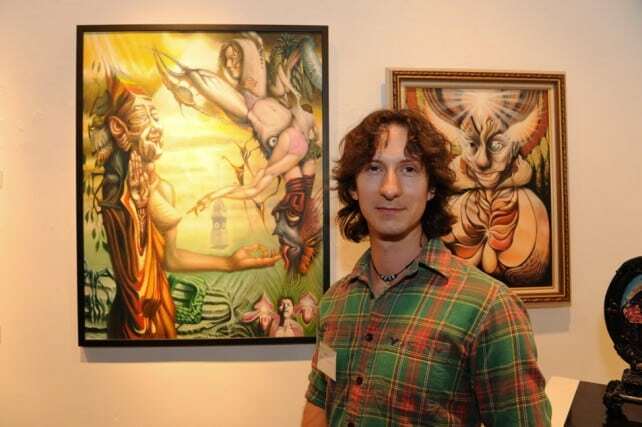 Cody with “Transgender Buddha Facing Mara” at left and”The Arousal of Brahma” at right. 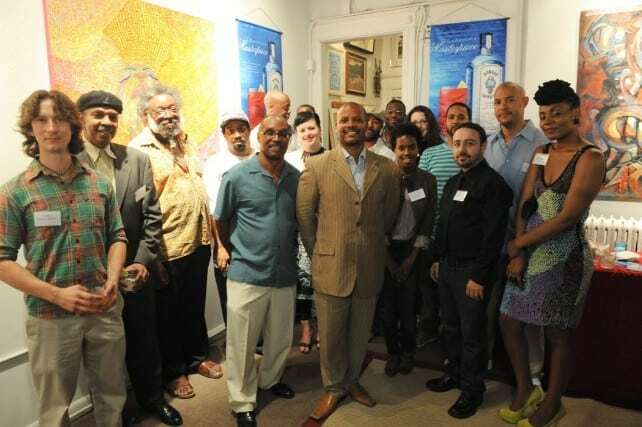 The Bombay Artisan Series DC show artists, including Cody, and hosts.